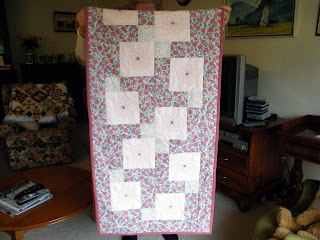 Yesterday Brandie showed us what her Quilting Group was doing so now it's my turn to show what our group on the other side of the world was doing today. 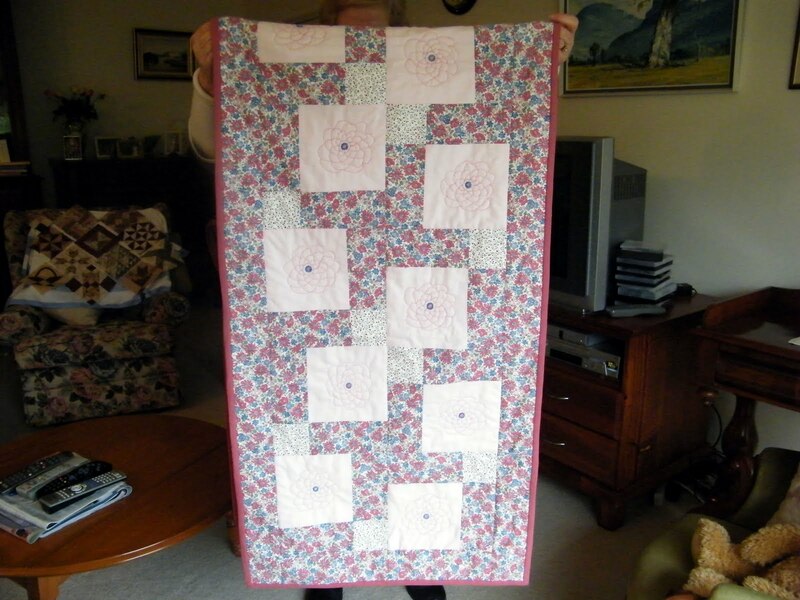 There are just five of us but our leader/hostess is away touring in a caravan with her hubbie - last heard of in Alice Springs - but she'll be back soon as another grandchild is imment - so we soldier on and keep quilting. 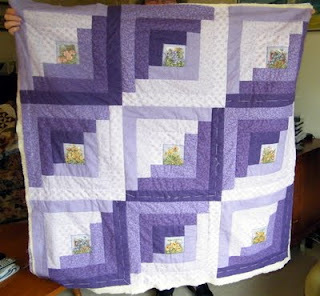 Pam is hand quilting a lavender log cabin quilt which is to be a gift for a friend. 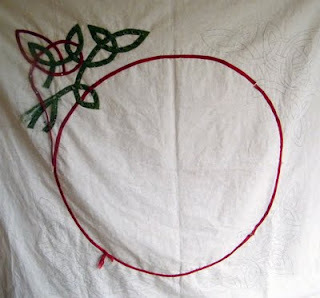 Noelene was sewing off ends on her Bed Runner, made for the end of her spare room bed, folded in half for this photo. 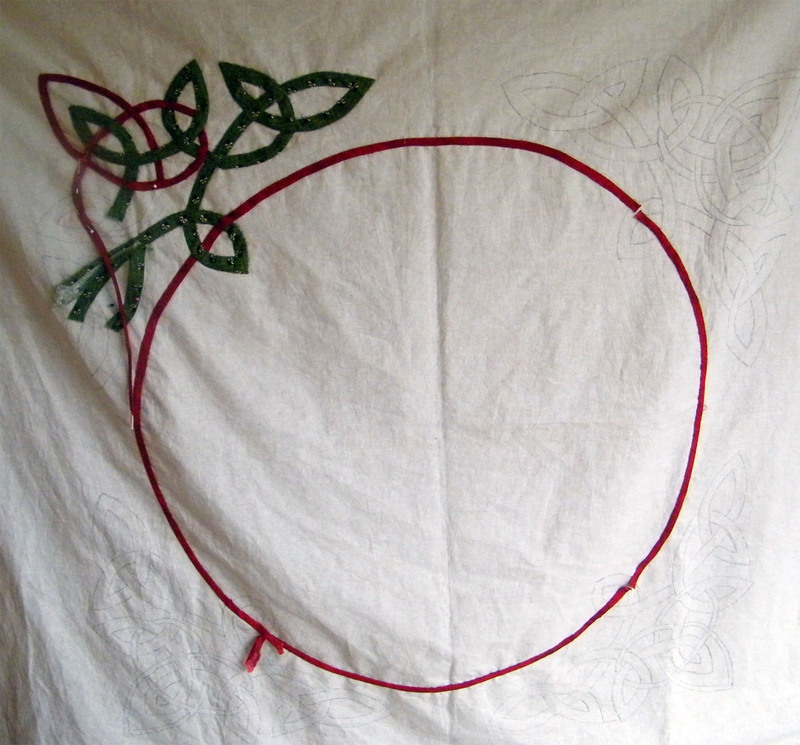 Mary worked on her Celtic supper cloth - this is how I learnt about the lovely gadget for making bias binding. 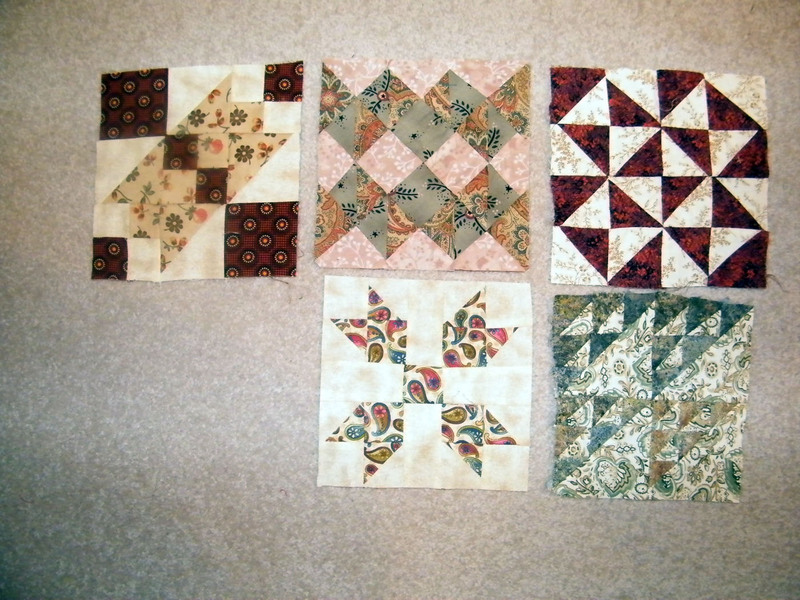 And these are the blocks which I added this week to my Farmer's Wife quilt. 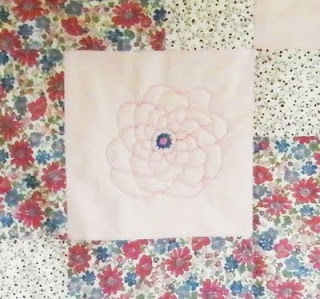 I hope you are all part of a friendly quilting group where you can get together with friends and sew, talk, display, talk, admire, talk, advise, talk, gossip, talk, eat, talk, laugh, talk, smile, talk and generally make yourself and others feel good, good, good. Hey, you can't leave me out!! I've been quilting too. Here's a few blocks on the boot of our car. We're in Coober Pedy. the craft group I belong to meets once a month. We met yesterday for August and we had a lovely catch up. We all do very different things but it's great. Love your show and tell!